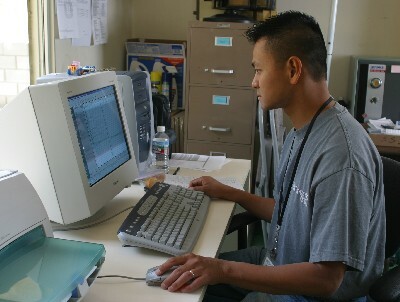 Photo Credit: Craig Fujii Support staff are required to document all client activities. This daily record is then reviewed by the case manager and subsequently reported to the client's Circle of Support. Senior support staff Matthew Vazquez.